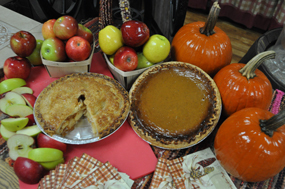 Lewis Farms features the best homemade baked goods. 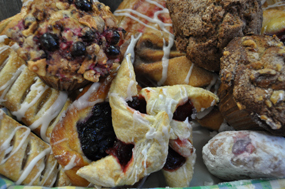 Our bakery products are made fresh daily at Lewis Farms, 363 days a year, by our staff of professionally trained bakers. 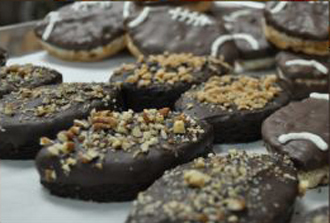 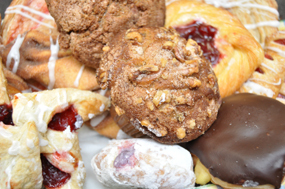 Some of our tasty sweet treats include a variety of donuts including our famous apple cider donuts, danish, pinwheels, strudels, cinnamon rolls, turnovers, cookies, cupcakes, brownies, cheese cakes, dessert bars, cannolies, eclairs, cream puffs, cream horns, fruit tarts and many more delicious desserts. 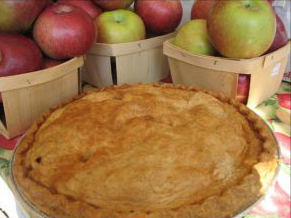 Lewis Farms bakes over 20 different types of 10" pies from apple to wildberry and everything in between. 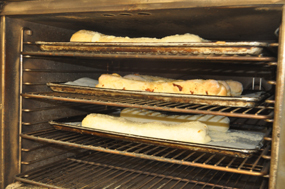 Fresh and hot from our oven! 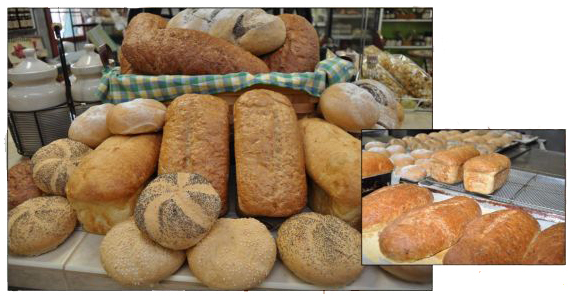 Lewis Farms bakes a number of artisan style breads and rolls.